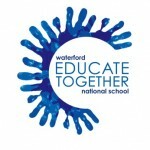 Ethical Education | Waterford Educate Together N.S. To promote a philosophy of education in which no child is considered an outsider; which promotes the fullest development of ability irrespective of gender, class or stereotype and which encapsulates this ethos in a democratic partnership uniquely combining the involvement of parents with the professional role of teachers. Educate Together is actively engaged in research and development in respect of the Ethical Education Curriculum. As part of this initiative, we are in the process of building up a library of resources to be used both by prospective teachers as part of their professional development, and by teachers currently implementing the Ethical Curriculum within the classroom. The general aim of the strand is to help develop in children a critical knowledge, understanding and awareness of right and wrong and a heightened awareness of social, ethical and moral standards through reflecting on the meaning and purposes of life. The strand should encourage and develop the individual on the journey to inner discovery and empower the child to make informed moral decisions. The general aim of this strand is to develop in children a critical knowledge, understanding and awareness of issues relating to human rights, equality, culture and diversity, social justice and social inclusiveness and to empower them to make a difference. The general aim of this strand is to develop in children a critical knowledge, understanding and awareness of the teachings of religious and non-theistic belief systems and how these systems relate to our shared human experience. The emphasis will be placed on an exploration of the infinite variety and richness of humankind through nurturing a respect for a person’s right to hold and practice individual belief systems and through creating spaces where values can be articulated and critically examined. The aim of this strand is to develop in children a knowledge, appreciation and respect for their environment and to empower them to take an active role in its stewardship.